Máscaras is the psychedelic instrumental trio of Papi Fimbres (PAPI), Carlos Segovia (DC) and Theo Craig (T-KRAY). It’s a jam with themes that become “songs” that live and breathe, leaving room for the unexpected. Each performance is a ritual to which you are invited. 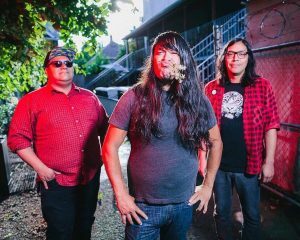 Máscaras, comprised of three Portland music scene veterans is what happens when an off-the-cuff jam session between friends really, really works. 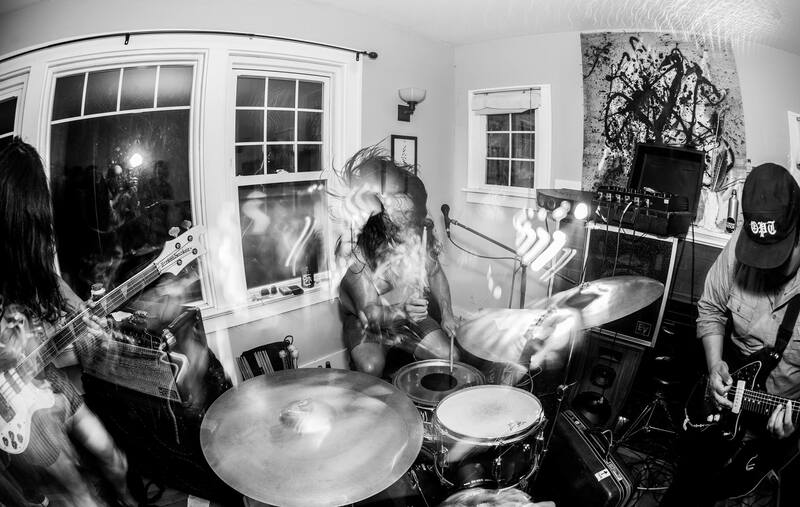 Even in its recorded form, “it’s a jam with themes that live and breathe,” the band says, “leaving room for the unexpected.” The trio plays heavy, propellant psychedelic music with surf-rock twang and mathy sensibilities. They call it “maximalist indigenous psych”. These are urgent, intense songs, but they’re also playful. It’s the sound of three homies making exactly the music they want to make, for no one else but themselves. It just so happens that people love it.